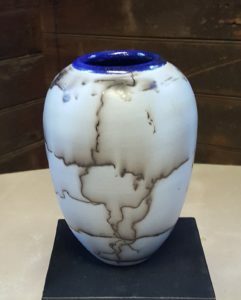 During the first half of his professional life, Peter Syak chose not to pursue a life in clay. He earned a bachelors degree in Biomedical Engineering and a master’s degree in Business Administration. He helped design artificial hips and knees for Stryker Instruments and then spent over 10 successful years at AT&T where he got used to wearing a suit and tie to the office. Then, in 1996, he took a chance to chase a dream and started his own ceramics studio. This was not out of the blue. He began playing in the dirt during his engineering studies in college when, with the help of a friend, he set out to create what no college student could be without, a giant beer stein. That not-so-simple project in 1981 began a life-long love of clay. 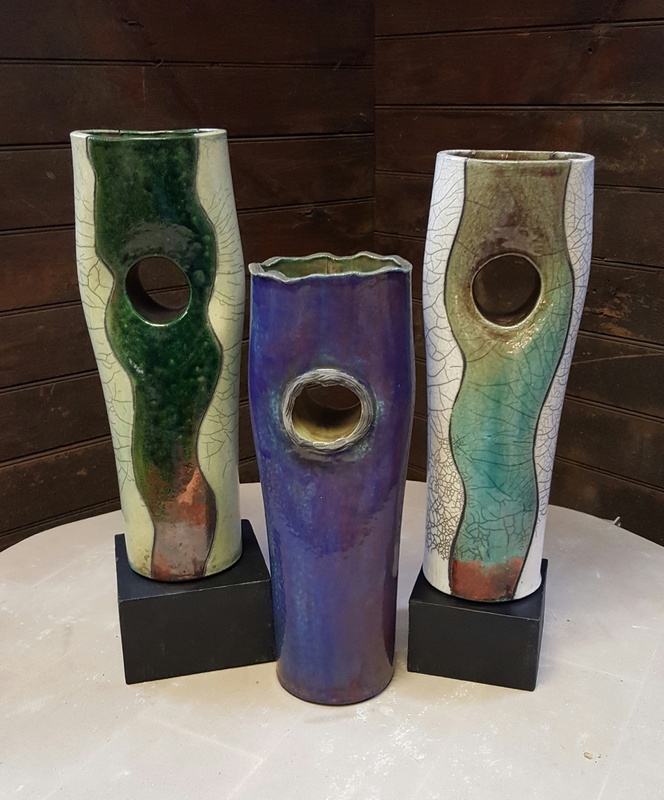 Since then, Mr. Syak has studied with many of New Jersey's foremost ceramics artists and has worked with some of the giants in the field. His pivotal moment came in 1986 when attending a workshop at the Summit Art Center, he discovered that one could place red-hot clay covered with molten glaze into flammable substances and not only produce breathtaking works of art but also remove unwanted facial hair. 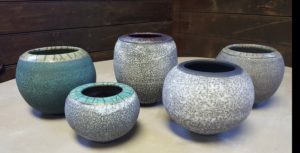 Peter’s love of Raku was both immediate and enduring. 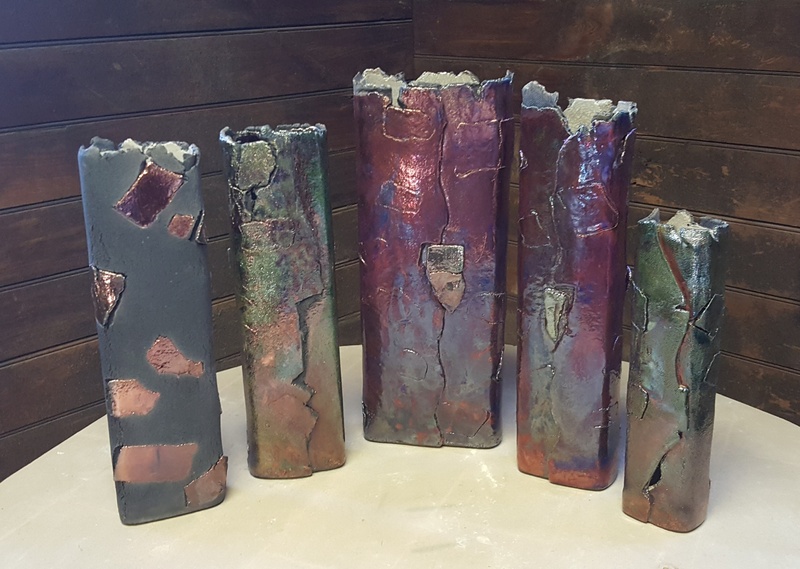 He has carefully and painstakingly developed his unique techniques over the past 20 years and currently produces gallery-quality Raku, custom-made ceramic tiles and functional tableware. From the day he opened his doors, his Raku has been recognized as some of the best of its kind in the country. His unique style juxtaposes clean architectural lines and natural ornamentation. Bright copper lusters and rich hued glazes are offset by rich, black, etched designs. Ancient eastern motifs are typically paired with simple geometric forms to produce work that is at once dynamic and visually pleasing. Today, the Raku of Peter Syak is prized and collected by individuals and institutions alike and his tile projects grace both homes and institutions. 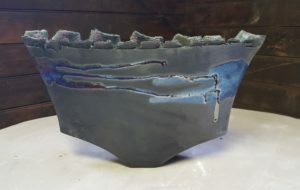 His work continues to evolve and new themes and techniques are frequently incorporated in the development of each new series. He hopes his work will be as much of a joy to own and to collect as it is to create. 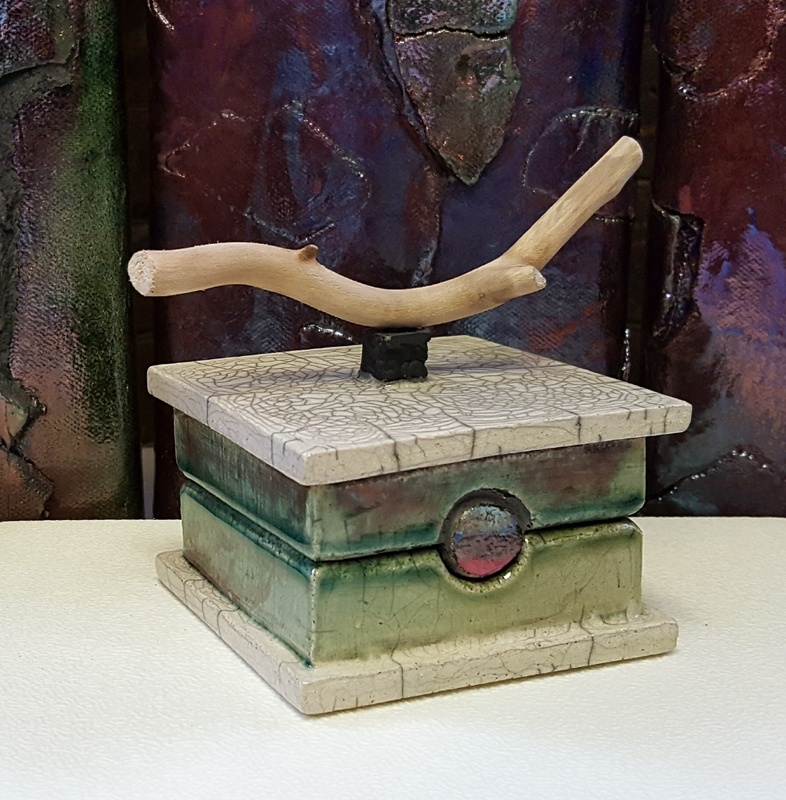 In addition to producing eye-catching work, Peter currently teaches at Kean University, The New Jersey Center for Visual Arts and has developed art programs for Bloomfield High School. He also provides hand building and firing workshops at his studio in Bloomfield, New Jersey.